Kubrat Pulev’s first fight in the United States would prove to be successful, as he would drop Bogdan Dinu in a rematch of their battle as amateurs. 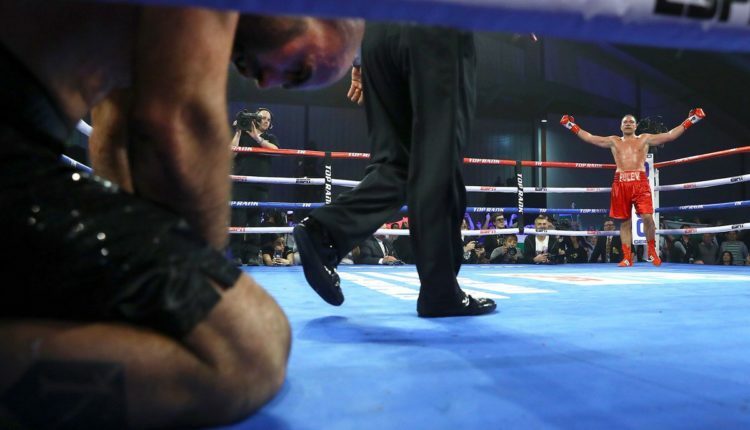 Dinu would turn the tide in round four, by opening up a cut over Pulev’s left eye, which nearly forced the doctor to stop the fight prior to the fifth round. In round seven, Dinu would get dropped by a series of right hands by the former world title contender, but would accidentally caught Dinu in the base of the skull. 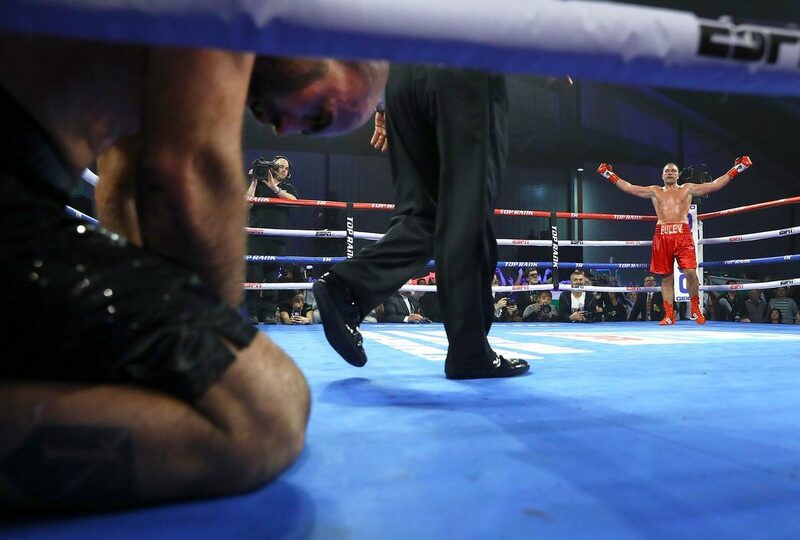 Referee Raul Caiz would score it as a knockdown, but taking a point from Pulev for an accidental foul. It would not be long, as Dinu would hit the canvas two more times in the seventh round, handing Dinu his second straight loss in four months. Pulev continues to build his resume, looking for for his first world title shot since his November 2014 knockout loss to Wladimir Klitschko, and being pulled from a 2017 fight with Anthony Joshua due to injury.